"Death will kill [odor] for you. She relishes snuffing odor out. She bares her true face for it puts odor on notice. Death is a cocky, elite assassin that will never miss her target. She is unlike any other deodorant you will meet. Although a ruthless killer [of odor], she has a soul. She utilizes only the finest, organic, all natural ingredients as her weapons. This container is recyclable and resusable. The labels are printed in vegan ink on 100% Tree Free/100% Fair Trade Certified Paper." The lavender scent is a very true lavender and does a great job of masking any odors I have throughout the day. "AL SOL is our newest Elite Assassin of Odor!! The scent profile is a heady mixture of lovely fresh citrus blanaced by upliftingsweet floral notes and topped with a bit of sassy tones. The essential blend is our strongest yet and everything fights odor causing bacteria. Whatsmore is that the lavender, citronella, eucalyptus lemon and eucalyptus all work to repel insects. 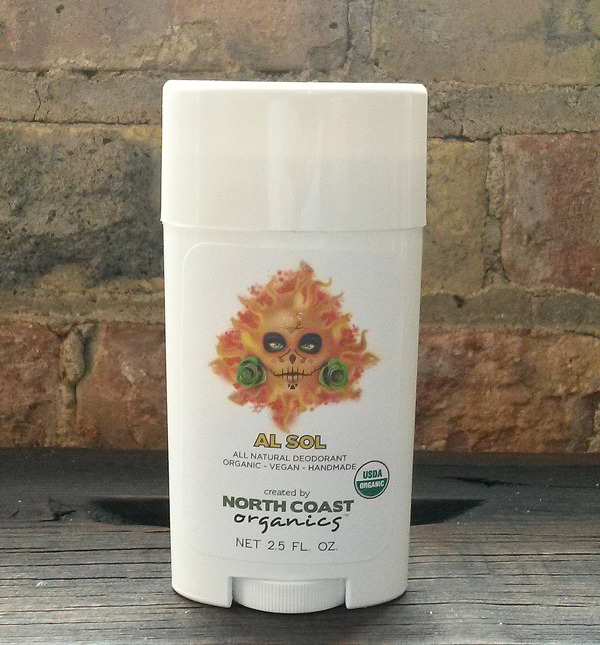 AL SOL is your perfect summertime deodorant and will keep you smelling great while you are out having fun in the sun"
AL SOL has a wonderful citrus scent with a hint of sweetness, it reminds me of an orange creamsicle. 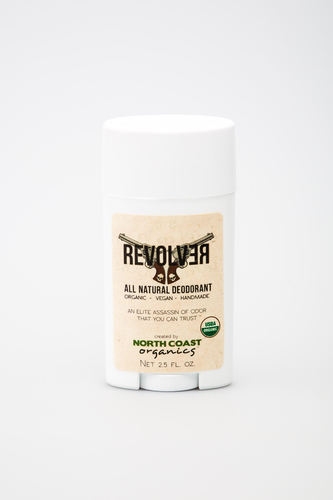 "Revolver is unlike any other deodorant you will ever use. Revolver shoots down odor wherever it lurks and will never miss its target. Unholster Revolver today and send odor to an early grave. Although a ruthless killer [of odor], Revolver has a soul. He is made from only the finest, organic, all natural ingredients. This container is recyclable and resusable. The labels are printed in vegan ink on 100% Tree Free/100% Fair Trade Certified Paper." Revolver has a very woodsy, and masculine scent I'm a big fan of cologne/masculine scents so of the four this one is by far my favorite scent. "naked is formulated to be gentle on your skin and harsh on odor. naked uses the minimal amount of the finest, natural ingredients to ensure that you do not stink and your underarms are not harmed." Naked has a very soft vanilla type scent, relaxing, and not overpowering. 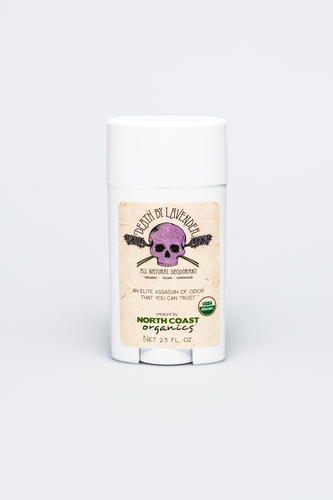 These deodorants are USDA certified organic, aluminium free, paraben free, and BPA free. The texture and the way these deodorant apply is different than your typical store bought deodorant, upon application it feels a lot drier, and somewhat gritty due to the baking soda it contains, I actually like the fact that it does not leave my underarms feeling wet or greasy. Definitely keeps me feeling drier than your average deodorant! Overall, if you are looking for vegan, organic deodorants I'd suggest giving these a try!